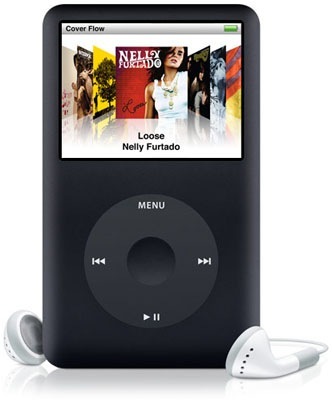 Some time ago now, I blogged on how I had got on with MP3 and MP4 players, and after a few, not so good purchases on eBay, had settled for a nice foreign import that, although it was a bit fragile, it had 4 GB of storage and seemed good value for money. However you can't beat the quality of a real IPod. Earlier on this year I had to go to the states on business, while I was there I took the opportunity (and advantage of the great £ and $ rates) to get myself a cheap IPod classic, with a whole 80GB of storage. That left me with the chance to distribute my other collected MP4 players to my wife and daughter. It seems ok as they can use Microsoft Media Player to synchronise playlists, while I have no alternative but to use Itunes. I recently bought some music on iTunes, and was quite disappointed that I can only play it on either my PC or on my IPod. for some reason although I have paid for the privilege of listening to the music, I have been dictated to how and what media I listen to it on, I cant even burn it onto an audio CD to put into my car! well done Apple, for encouraging piracy. It has been a long time since I have posted on this blog, partly because i have been so busy at work, as well as in my personal life. I seem to be at that age where time just fly's by. I have just installed some of he new Microsoft live services, and thought I would try the Live Writer, it claims to be able to post to my WordPress Blog and keep the normal styling that i have setup, so we will soon see.